Are your little ones learning sight words? Looking for another fun way to practice? 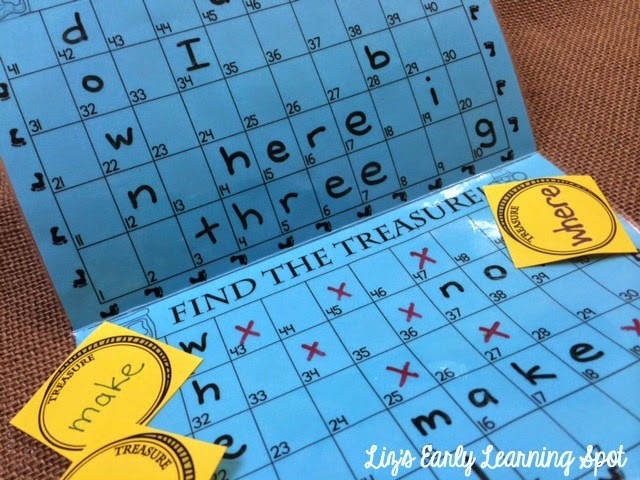 This resource has been adapted from 'Battleships' but instead of sinking their friend's ships the goal of this game is to discover lost treasure coins (sight words). It's structured so that kids both read and write while focussing on specific words and strategizing to win the friend's treasure coins. It's laid out in a grid to give lots of number sense practice, too. Hop over to Liz's Early Learning Spot to download your free Battling for Sight Words game board. I wish you happy teaching and learning.